Here are the PCB Glossary…! Deposition or addition of conductive material onto clad or unclad base material. A post-dip chemical process used to retard oxidation of copper circuits. (Automated Optical Inspection) – Automatic laser/video inspection of traces and pads on the surface of inner-layer cores or outer-layer panels. The machine uses cam data to verify copper feature positioning, size and shape. Instrumental in locating “open” traces, missing features or “shorts”. (Acceptance Quality Level) – The maximum number of defectives likely to exist within a population (lot) that can be considered to be contractually tolerable; normally associated with statistically derived sampling plans. A group of elements or circuits arranged in rows and columns on a base material. An accurately scaled configuration of electronic data used to produce the artwork master or production master. The photographic image of the PCB pattern on film used to produce the circuit board, usually on a 1:1 scale. The ratio of the PCB thickness to the diameter of the smallest hole. A very thick, large circuit board used to hold an array of pins for wire wrapping. Hard flat material used to back-up laminate when drilling to reduce burrs. An unassembled (unpopulated) printed board. The cylinder formed by plating the walls of a drilled hole. The insulating material used to form the conductive pattern. It may be rigid or flexible or both. It may be a dielectric or insulated metal sheet. A test fixture consisting of a frame and a holder containing a field of spring-loaded pins that make electrical contact with a planar test object. Using a die punch to “blank out” the finished circuit board, used mostly for single-sided panels. A via extending only to one surface of a printed board. Does not extend from the top to the bottom layer. A localized swelling and/or separation between any of the layers of a laminated base material, or between base material or conductive foil. It is a form of Delamination. Blow holes caused by an outburst of gas from solder fillet on a circuit board during the soldering operation. Board vendor. A manufacturer of printed circuit boards. A specified number of Prepreg plies which are assembled along with inner-layer cores in preparation for curing in a lamination press. The deviation from flatness of a board characterized by a roughly cylindrical or spherical curvature such that, if the product is rectangle, its four corners are in the same plane. A ridge surrounding the hole left on the outside copper surface after drilling. A resin in its final state of cure. (Computer Aided Design) – A system where engineers create a design and see the proposed product in front of them on a graphics screen or in the form of a computer printout or plot. In electronics, the result would be a printed circuit layout. (Computer Aided Manufacturing) – The interactive use of computers systems, programs, and procedures in various phases of a manufacturing process wherein, the decision-making activity rests with the human operator and a computer provides the data manipulation functions. The data files used directly in the manufacture of printed wiring. The file types are: (1) Gerber files, which control a photo-plotter. (2) NC Drill file, which controls an NC Drill machine. (3) Fabrication drawings in Gerber, HPGL or any other electronic format. Hard copy prints may be available also. CAM files represent the final product of PCB design. These files are given to the board house which further refines and manipulates CAM in their processes, for example in step- and-repeat panelization. The property of a system of conductors and dielectrics that allows the storage of electricity when a potential difference exists between the conductors. Another name for a printed circuit board. A chemical that is used to initiate the reaction or increase the speed of the reaction between a resin and a curing agent. Rigid, polished, flat, stable steel plates used when pressing or laminating MLBs. The nominal distance between the centers of adjacent features on any single layer of a printed board, e.g. ; gold fingers and surface mounts. Pen plots, or plotted film, that are suitable for checking and for design approval by customers. A number of electrical elements and devices that have been interconnected to perform a desired electrical function. A copper object on a printed circuit board. Specifying certain text items for a board to be “in clad,” means that the text should be made of copper, not silkscreen. A hole in the conductive pattern that is larger than, and coaxial with a hole in the base material of a printed board. A system that utilizes a computer and software as the primary numerical control technique. Any of the basic parts used in building electronic equipment, such as a resister, capacitor, DIP or connector, etc. A hole that is used for the attachment and/or electrical connection of component terminations, including pins and wires, to a printed board. The configuration pattern or design of the conductive material on a base material. (This includes conductors, lands, vias, heat sinks and passive components when those are integral parts of the printed board manufacturing process. The observable distance between adjacent edges (not center to center spacing) of isolated patterns in a conductor layer. An insulating & protective coating that conforms to the configuration of the object coated and is applied on the completed board assembly. One leg of a net. A plug or receptacle, which can be easily joined to or be separated from its mate. Multiple-contact connectors join two or more conductors with others in one mechanical assembly. An uninterrupted path for the flow of electrical current in a circuit. The matching of substrate material properties with trace dimensions and locations in an effort to create specific electric impedance for a signal moving along a trace. Anti-oxidant treatment applied to raw vendor foil. The breaking up of large conductive area by the use of a pattern of voids in the conductive material. (Coefficient of Thermal Expansion) – The measure of the amount a material changes in any axis per degree of temperature change. The act of applying heat and pressure to the laminate materials in order to produce a bond. A collection of interrelated data items stored together without unnecessary redundancy, to serve one or more applications. A separation between plies within a base material, between a base material and a conductive foil, or any other planner separation with a printed board. Develop, etch & strip process used in the etching stage of inner-layer fabrication. The use of a computer-aided program to perform continuity verification of all conductors routing in accordance with appropriate design rules. A condition that results when molten solder has coated a surface and then receded. It leaves irregularly shaped mounds separated by areas of thin solder. The base material is not exposed. A material with a high resistance to the flow current, and which is capable of being polarized by an electrical field. (Dual In-Line Package) – A type of housing for integrated circuits. Application of conductive coatings on drilled holes to provide electrical continuity for electrolytic plating. Design of experiments… a formal method of designing an interactive test matrix. A plating defect found in drilled holes where the electroplated copper is thin in the center and thicker at the knee. Brass-based coating applied to copper foil as a substitute for oxide. Slang for fine line design with two traces between DIP pins. A solder mask film applied to a printed board using photographic methods. This method can manage the higher resolution required for fine line design and surface mount. Coating material specifically designed for use in the manufacture of printed circuit boards and chemically machined parts. They are resistant to various electroplating and etching processes. The deposition of conductive material from an autocatalytic plating solution without the application of electrical current. The deposition of a conductive material from a plating solution by the application of electrical current. The electro-deposition of a metal coating on a conductive object. The object to be plated is placed in an electrolyte and connected to one terminal of a direct current (DC) voltage source. The metal to be deposited is similarly immersed and connected to the other terminal. Thin metal foil (usually aluminum) attached to top side of drill stack to reduce drilling burrs and cool drill. A drawing used to aid the construction of a printed circuit board. It shows all of the locations of the holes to be drilled, their sizes and tolerances, dimensions of the board edges, and notes on the materials and methods to be used. Called “fab Drawing” for short. It relates the board edge to at least one hole location as a reference point so that the NC Drill file can be properly aligned. Refers to chip packages with lead pitches below .050. The largest pitch in this class of parts is about .031. Lead pitches as small as .020 are used. A sample part or assembly typically manufactured prior to the start of production for the purpose of ensuring that the manufacturer is capable of producing a product that will meet specified requirements. A chemical activator use when reflowing solder or attaching components. First pass panel yield… number of good “panels” after subtracting defective panels. A paper material with phenolic resin binder similar to FR-1 – but with a TG of about 105°C. A paper material that is similar to FR-2 – except that an epoxy resin is used instead of phenolic resin as a binder. Used mainly in Europe. A laminate consisting of woven epoxy-glass cloth impregnated with epoxy resin under pressure and heat. G10 lacks the anti-flammability properties of FR-4. Used mainly for thin circuits such as in watches. Data file used to control a photo-plotter. Named after the Gerber Scientific Co., who made the original vector photo-plotter. A common reference point for electrical circuits returns, shielding or heat sinking. A conductor layer, or portion thereof that serves as a common reference for electrical circuit returns, shielding or heat sinking. Fracturing/delamination on or below the surface of the base material; it is usually exhibited by a light area around holes. (Hot Air Solder Leveling) – A method of coating exposed copper with solder by inserting a panel into a bath of molten solder then passing the panel rapidly past jets of hot air. (High Density Interconnect) – Ultra fine-geometry multi-layer PCB constructed with conductive microvia connections. These boards also usually include buried and/or blind vias and are made by sequential lamination. The quantity of holes in a unit area of a printed board. The process of transferring electronic data to the photo-plotter, which in turn uses light to transfer a negative image circuitry pattern onto the panel or film. The resistance to the flow of current, represented by an electrical network of combined resistance, capacitance and inductance reaction, in a conductor as seen by an AC source of varying time voltage. The unit of measure is ohms. Foreign particles, metallic or nonmetallic, that may be entrapped in an insulating material, conductive layer, plating, base material, or solder connection. 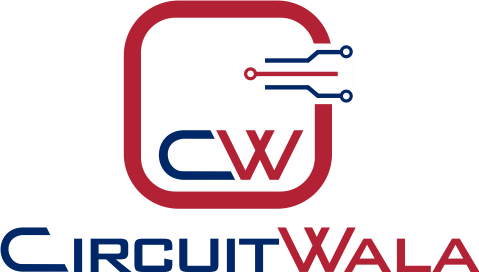 (The Institute for Interconnecting and Packaging Electronic Circuits) – The final American authority on how to design and manufacture printed wiring. (Known Good Board) – A board or assembly that is verified to be free of defects. Also, known as a Golden Board. A product made by bonding together two or more layers of materials. The portion of the conductive pattern on printed circuits designated for the mounting or attachment of components. Also, called a pad. A plotter that uses a laser, which simulates a vector photo-plotter by using software to create a raster image of the individual objects in a CAD database, then plots the image as a series of lines of dots at a very fine resolution. A laser photo-plotter is capable of more accurate and consistent plots than a vector plotter. A terminal on a component. The liquid form of photoresist used in the fabrication of circuits. (Liquid Photo-Imageable Solder Mask) – An ink that is developed off using photographic imaging techniques to control deposition. It is the most accurate method of mask application and results in a thinner mask than dry film solder mask. It is often preferred for dense SMT. Application can be spray, curtain coat or squeegee. A material applied to enable selective etching, plating, or the application of solder to a PCB. Also, called solder mask or resist. Discrete white spots or crosses below the surface of the base laminate that reflect a separation of fibers in the glass cloth at the weave intersection. The preparation of a specimen of a material, or materials, used in metallographic examination. This usually consists of cutting out a cross-section followed by encapsulation, polishing, etching, and staining. Usually defined as a conductive hole with a diameter of 0.005″ or less that connects layers of a multi-layer PCB. Often used to refer to any small geometry connection holes created by laser drilling. One thousandth of an inch. Common term used to define thicknesses below 0.100 inches. (One mil = 0.001 inches). Specification set forth by the military. A printed circuit board used for interconnecting arrays of plug-in electronic modules. A hole that is used for the mechanical support of a printed board or for the mechanical attachment of components to a printed board. Printed boards consisting of a number (three or more) of separate conducting circuit planes separated by insulating materials and bonded together into relatively thin homogeneous constructions with internal and external connections to each level of the circuitry as needed. The flared condition of copper on the interconnect layer of a multilayer caused by poor drilling. (Numeric Control drill machine) – A machine used to drill the holes in a printed board at exact locations, which are specified in a data file. A reverse-image copy of a positive, useful for checking revisions of a PCB and is often used for representing inner layer planes. When a negative image is used for an inner-layer it would typically have clearances (solid circles) and thermals (segmented donuts) that either isolate holes from the plane or make thermally relieved connections respectively. A collection of terminals all of which are, or must be, connected electrically. Also, known as signal. List of names of symbols or parts and their connection points which are logically connected in each net of a circuit. A netlist can be captured from properly prepared schematic-drawing files of an electrical CAE application. Identification symbols applied to the board by means of screen printing, inkjetting, or laser processes. Open circuit. An unwanted break in the continuity of an electrical circuit which prevents current from flowing. Occupational Safety & Health Agency. A special treatment applied to copper surfaces of inner layers of a PWB to insure bond integrity. Same as “Land”. The portion of the conductive pattern on printed circuits designated for the mounting or attachment of components. Material (most commonly an epoxy- copper laminate know as FR-4) sized for fabrication of printed circuit boards. Used to describe a common sheet size used in the fabrication process, ie: 24” X 18”. A laminate area measurement, one-side only of the panel. (1 panel, 18” X 24” X 1 side = 3 panel ft). Electroplating of circuits using photoresist as a mask to protect the background, usually copper & tin. Device used to generate photographically by plotting objects onto film for use in manufacturing printed wiring. An organic emulsion containing photoactive compounds, which will crosslink when exposed to UV light. A terminal on a component, whether SMT or through-hole. Also called a lead. Small defects etched through a circuit pattern. A defect caused by poor bonding around drilled holes displayed by acid attack of the oxide. A method of defining circuit lines and spaces i.e. ; 4 & 4, 4 mil lines and 4 mil spaces. Creation of corona in a chamber by exciting certain gasses in a partial vacuum with an electrical field, used to desmear. A hole in a PWB with metal plating added after it is drilled. Its purpose is to serve either as a contact point for a through-hole component or as a via. The chemical or electrochemical deposited metal on a surface. A developed image of photo-plotted file, where the areas selectively exposed by the photo plotter appear black and unexposed areas are clear. For outer-layers, color will indicate copper. Positive inner-layers will have clear areas to indicate copper. Heavy circuit features designed to carry high electrical loads in a PWB. A sheet of material that has been impregnated with a resin cured to an intermediate stage. I.e. B-stage resin. Expose step to define circuit patterns in photo resist. Simple fabrication method using photoresist to define etch pattern. A flat plate or base of insulating material containing a pattern of conducting material. It becomes an electrical circuit when components are attached and soldered to it. The conducting material is commonly copper which has been coated with solder or plated with tin-lead alloy. The usual insulating material is epoxy laminate but there are many other kinds of materials used in more exotic technologies. Single sided boards have all conductors on one side of the board. With two-sided boards, the conductors, or copper traces, can travel from one side of the board to the other through plated-thru holes called vias, or feed-throughs. In multilayer boards, the vias can connect to internal layers as well as either side. A spring-loaded metal device used to make electrical contact between test equipment and the unit under test. A mechanical cleaning step using brushes and an abrasive media. Using dies to punch component holes, usually in single & double-sided PWBs. The name of components on a printed circuit by convention beginning with one or two letters followed by a numeric value. The letter designates the class of component; eg. “Q” is commonly used as a prefix for transistors. Reference designators appear as usually white or yellow epoxy ink (the “silkscreen”) on a circuit board. They are placed close to their respective components but not underneath them. So that they are visible on the assembled board. A dimension without a tolerance that is used only for informational purposes that does not govern inspection or other manufacturing operations. The melting of electrodeposited tin/lead followed by solidification. The surface has the appearance and physical characteristics of being hot-dipped. A coating material that is used to mask or protect select areas of a pattern during manufacturing or testing from the action of an etchant, plating, solder, etc. A layout or wiring of a connection. The action of creating such a wiring. The term is also used for the actual milling of a PCB. A diagram which shows, by means of graphic symbols, the electrical connections and functions of a specific circuit arrangement. Short circuit. An abnormal connection of relatively low resistance between two points of a circuit. The result is excess (often damaging) current between these points. Such a connection is considered to have occurred in a printed wiring CAD database or artwork anytime conductors from different nets either touch or come closer than the minimum spacing allowed for the design rules being used. Fine circuits designed to carry high speed signals throughout a circuit board and its components. The decals and reference designators in epoxy ink on a printed wiring board so called because of the method of application – the ink is “squeegeed” through a silk screen, the same technique used in the printed of T-shirts. Minimum line width at ACI for silkscreen is .008. Also, called “silkscreen legend”. Area of absent metal in plating. (Solder Mask Over Bare Copper) -A method of fabricating a printed circuit board that results in final metallization being copper with no protective metal. The non-coated areas are coated by solder resist, exposing only the component terminal areas. This eliminates tin lead under the mask. An alloy that melts at relatively low temperatures and is used to join or seal metals with higher melting points. A layer of solder that is applied directly from a molten solder bath to a conductive pattern. The process by which the board is exposed to hot oil or hot air to remove excess solder from holes and lands. A technique wherein everything on a circuit board is coated with a mask except 1) the contacts to be soldered, 2) the gold-plated terminals of any card-edge connectors and 3) fiducial marks. Tin/lead alloy plated in a pattern to define the finished features or circuits. The successive exposure of a single image on order to produce a multiple-image production master. Also, used in CNC programs. A group of printed circuits arrayed in a panel and handled by both the board house and the assembly house as though it were a single printed wiring board. The sub-panel is usually prepared at the board house by routing most of the material separating individual modules leaving small tabs. Total surface square feet area of a given work piece. (1 panel 18” X 24” X 2 sides = 6 surface ft). Surface mount technology. Components are soldered to the board without using holes. The result is higher component density, allowing smaller PWBs. Abbreviated SMT. Selective plating on edge connectors, usually nickel/gold. A portion of a conductive pattern formed by printing, serving as one part of a contact system. A via with dry film solder mask completely covering both its pad and its plated-thru hole. This completely insulates the via from foreign objects, thus protecting against accidental shorts, but it also renders the via unusable as a test point. Sometimes vias are tented on the topside of the board and left uncovered on the bottom side to permit probing from that side only with a text fixture. A printed circuit board fabrication method of capping plated-through holes and the surrounding conductive pattern with a dry film resist. A point of connection for two or more conductors in an electrical circuit; one of the conductors is usually an electrical contact or lead of a component. A printed board that is deemed to be suitable for determining the acceptability of a group of boards that were. Or will be, produced with the same fabrication process. A device that interfaces between test equipment and the unit under test. Glass transition temperature. The point at which rising temperatures cause resin inside the solid base laminate to start to exhibit soft, plastic-like symptoms. This is expressed in degrees Celsius (°C). Thin laminate, usually less than 0.005 inches thick. Having pins designed to be inserted into holes and soldered to pads on a printed board. Also, spelled “thru-hole”. Segment of a conductor route or net. (Underwriter’s Laboratories, Inc.) – A corporation supported by some underwriters for the purpose of establishing safety standards on types of equipment or components. The AC logo shows our UL certification. Feed through. A plated-through hole in a PWB used to route a trace vertically in the board, that is, from one layer to another. Assembled printed boards are brought in contact with a continuously flowing and circulating mass of solder, typically in a bath to connect the leads of components to through hole pads and barrels. A layer separation defect in a drilled hole which are sites for retention of process chemicals. Migration of copper salts into the glass fibers of the insulating material found in the barrel of a plated hole. The horizontal or left-to-right direction in a two-dimensional system of coordinates. The vertical or bottom-to-top direction in a two-dimensional system of coordinates. The axis perpendicular to the plane formed by the X and Y datum reference. This axis usually represents the thickness of the boards.